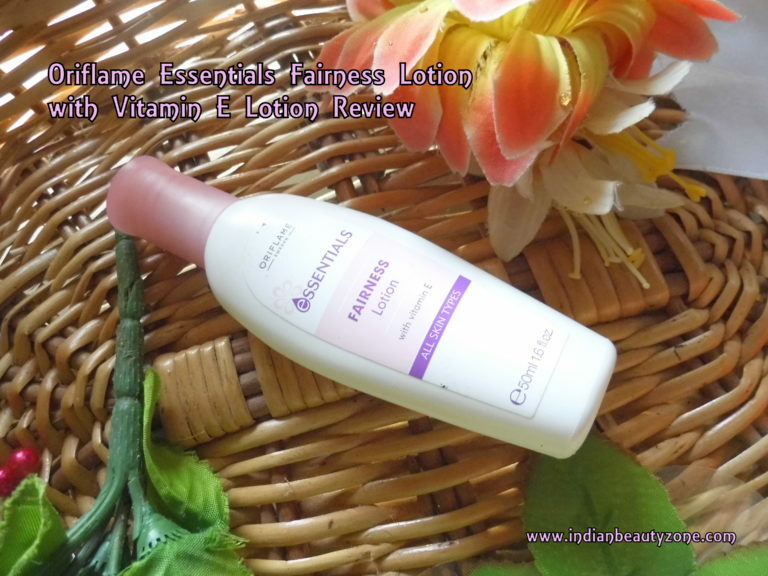 Oriflame Essentials Fairness Lotion with Vitamin E Lotion is suitable for all skin types. The lotion moisturizes and nourishes the skin by regular use with a fairness glow which looks natural and long lasting. This fairness lotion comes in a white sturdy plastic bottle with a pink screw open lid and inside it is safeguarded by a pressed lid which has a tiny hole to help to take out the lotion without any spillage of the product. It is travel and user friendly. It has a mild flower fragrance which is very good and pleasing and never disturbed my sensitive nose. 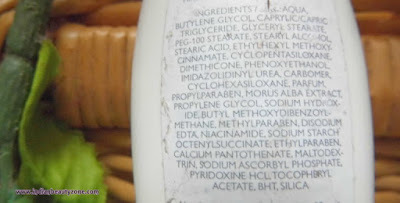 The colour of the lotion is white and it's texture is bit runny liquid. 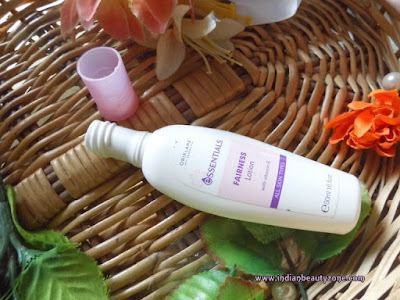 I have finished this 50ml bottle few months back and I have to tell that this lotion is simply good for all skin types. If it has SPF I could have continued it for some more time. But as summer has arrived in my place I have to go for a moiturizing cream with SPF. 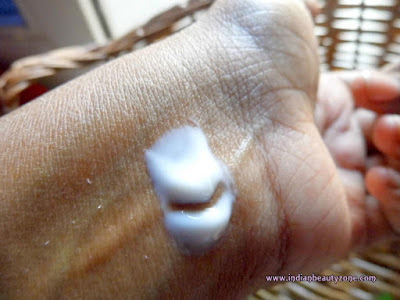 This lotion is non greasy and gets easily absorbed into the skin as soon as you applied on the skin. But immediately after applying it gives slight shiny look which takes 15 minutes to subside, then later it looks completely fine. I have had no breakouts or pimples problem with this lotion. It smells mild and the moiturizing effect long lasts for 6 to 7 hours during winters. My skin will be combination to dry during winter time, so this lotion helped me a lot during that time. 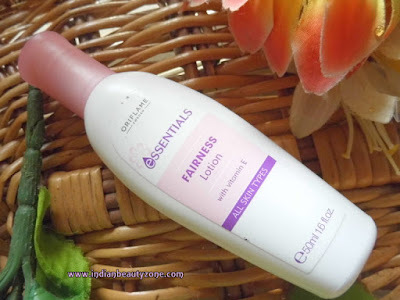 Regarding fairness it doesn't makes any miracle changes to the skin but it gives good glow and bright appearance to the skin. Overall it is a good moiturizing lotion for all skin types. Cute and compact travel friendly package. 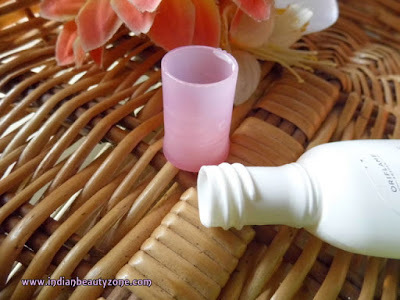 Hydrates and moisturizes the skin well. No breakouts or allergy for my sensitive skin. Suits to all skin types. Oriflame Essentials Fairness Lotion with Vitamin E Lotion is a good moisturizing lotion if you are looking for good and decent moiturizing lotion for your daily beauty regime.